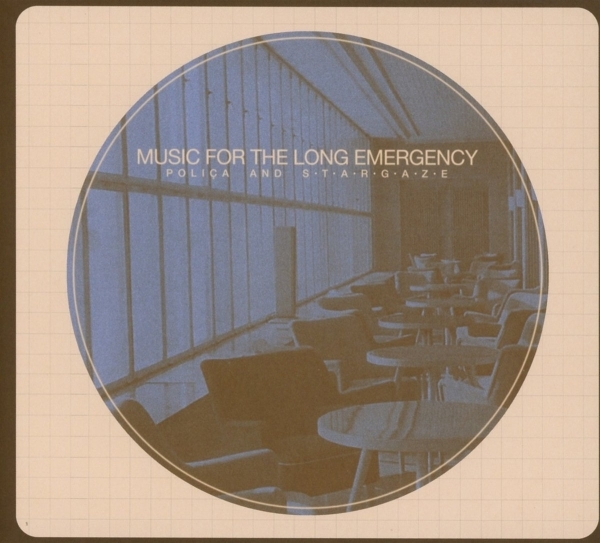 Music For The Long Emergency is the debut collaborative album by Minneapolis-based electronic quintet POLIÇA and Berlin’s orchestral collective s t a r g a z e.
Introduced via the Liquid Music project run by the St. Paul Chamber Orchestra in Minnesota, POLIÇA and s t a r g a z e first met in Berlin in 2016 in s t a r g a z e conductor André de Ridder’s living room. The process continued as an 18-month long “ping pong” match as the bands exchanged ideas and music over email. Both were adamant that whatever they created “not just be POLIÇA songs with s t a r g a z e pasted on top,” as POLIÇA vocalist Channy Leaneagh put it, and they consider the end result to be the most adventurous and forward-thinking music either group has made to date. The record absolutely feels like an adventure to listen to. It is emotive and affecting, pushing and pulling at the atmosphere as the tracks swell high and dive low, taking you the listener with them. The penultimate track, ‘How is this Happening‘, stretches out to 10:07. It summons a strong sense of foreboding, with no whisper of light to hook onto. At seven minutes the sound lifts, with hopeful brass emerging from the sticky fog, but at nine minutes you’re plunged down once more. Closing the record, ‘Music for the Long Emergency‘ is a bridge over the flattening depression you’ve just been left in. It soars with crescendo, warms with celestial vocals, and while it crackles with static and doom part way through, it returns to a sense of peace. I found this album impressively experimental, and at times magical and elevating. Yet it is also experientially challenging and at times I wanted it to stop. But I guess that’s just like life – and Music For The Long Emergency is an album about life. Music For The Long Emergency is out now on Transgressive.